Danbury Mayor Mark Boughton delivers his victory speech after winning the gubernatorial endorsement at the Connecticut Republican convention on May 12, 2018. 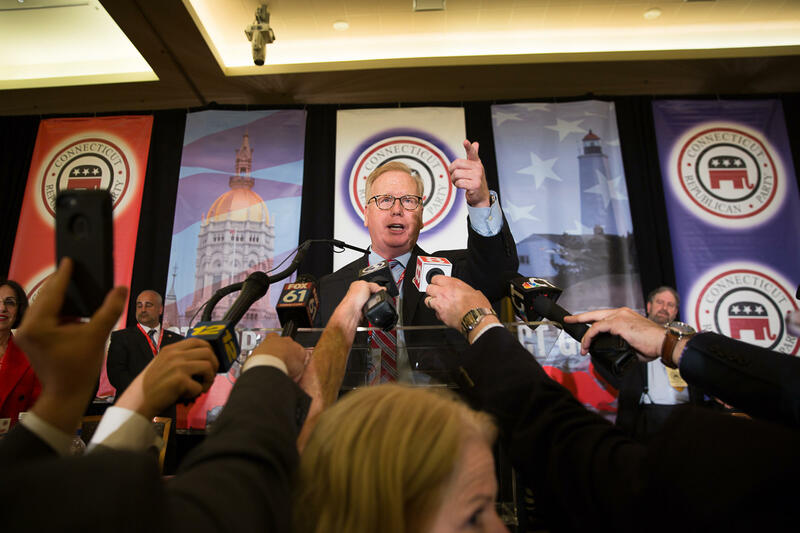 It was an emotional victory for the 54-year-old Boughton, whose gubernatorial ambitions fell woefully short in 2010 and 2014, prompting doubts he could win statewide. More recently, Boughton had to overcome concerns about his health: He had delicate surgery last year to remove a non-cancerous brain tumor and had a seizure while campaigning in March. With the vote for lieutenant governor to follow, Boughton was brief in his remarks, offering thanks and a plea for the party to come together as it tries to recapture an office held by a Democrat, Gov. Dannel P. Malloy, for eight years. The GOP previously held the office for 16 years. State Sen. Joe Markley of Southington won a first-ballot victory for lieutenant governor in a four-way race with First Selectman Jayme Stevenson of Darien, First Selectman Steven Everett of Columbia and New Britain Mayor Erin Stewart, who quit the gubernatorial race Friday. All but Everett qualified for a primary. The path to victory was twisting for Boughton, and he has significant challenges ahead. On Saturday, more than 1,150 delegates gathered at Foxwoods Resorts Casino for a political game of “Survivor!” With eight candidates seeking the endorsement, the rules were established to eliminate contenders on each round of balloting. Candidates had to reach 8 percent on the first ballot to continue to the second round, when the threshold rose to 15 percent. Delegates eliminated five of the eight candidates on two ballots Saturday, setting up a third-round face-off between Boughton, former First Selectman Tim Herbst of Trumbull and the day’s surprise, Steve Obsitnik. It ended with Boughton winning with 50.14 percent of the vote, to 40.86 percent for Herbst and 9 percent for Obsitnik, whose high point of nearly 18 percent came on the second ballot. Obsitnik informally released his delegates on the final ballot, letting the convention make an endorsement without a fourth round of voting. Republican gubernatorial candidate Tim Herbst speaks to the media after losing to Mark Boughton in the final round of voting at the Republican convention. On the first ballot, delegates gave Boughton and Herbst sufficient votes to qualify for a primary, eliminated Prasad Srinivasan and Mike Handler, and left four others scrambling to find new support before votes were cast on a second ballot. 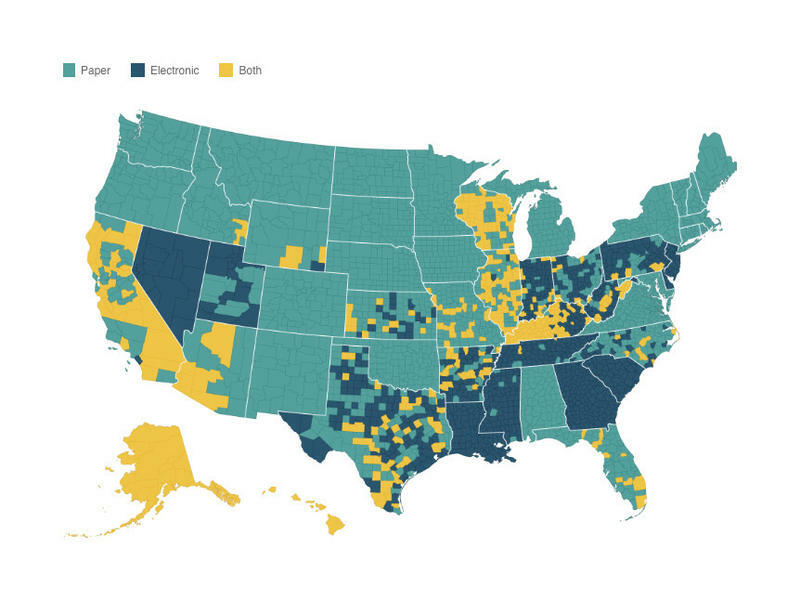 Qualifying for a primary requires 15 percent on any one ballot. Boughton garnered 24.45 percent on the first ballot, trailed by Herbst at 18.8 percent. On the bubble for the second ballot were Peter Lumaj at 14.74 percent, Shelton Mayor Mark Lauretti at 10.50 percent, Obsitnik at 10.33 percent, and Dave Walker at 9.18 percent. On the second ballot, Boughton, Herbst and Obsitnik were the only candidates to clear 15 percent before vote switching began. Under the convention rules, every delegation had the right to switch its votes before the tally was finalized. The final was: Boughton, 36.27 percent; Herbst, 28.36 percent; Obsitnik, 17.6 percent; Lumaj, 14.31 percent; Lauretti, 2.31 percent; and Walker, 1.16 percent. Obsitnik, a tech entrepreneur, Annapolis graduate and former submariner, surged from the pack, ending up as the second choice of delegates who wanted to see a businessman in the mix with two candidates with electoral experience, Boughton and Herbst. Two other well-financed candidates, David Stemerman and Bob Stefanowski, are bypassing the convention and plan to petition for a place on the primary ballot. If they succeed, Republicans will go to the polls in August in a primary with five candidates: Boughton, Herbst, Obsitnik, Stemerman and Stefanowski. 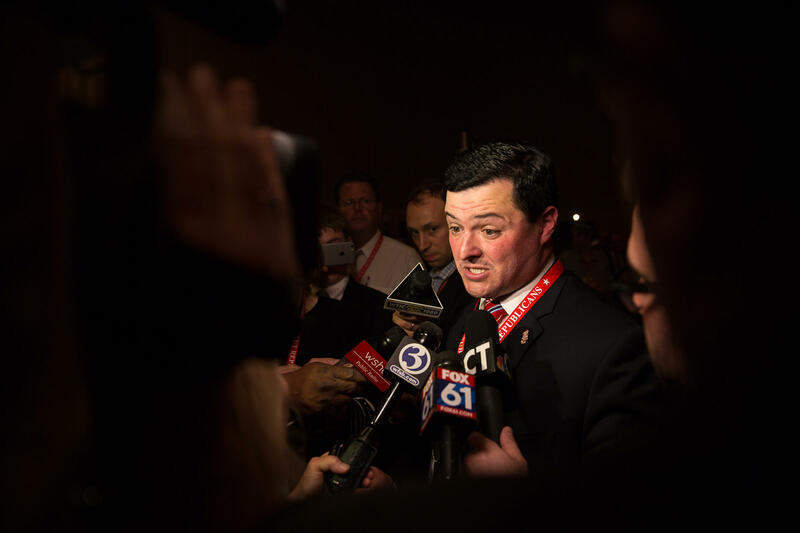 Many delegates didn’t make their choices until arriving at the gambling resort on Saturday, when they weighed the collective strengths and weaknesses of the candidates — particularly Boughton and Herbst. Sen. John A. Kissel of Enfield, a superdelegate by virtue of his office, committed to Herbst just before leaving the convention hall for lunch, a chore that meant exiting the convention hall for the bells and whistles of the gaming floor. Herbst’s pugnacious personality, a concern for some, was a decided plus for Kissel. On the second ballot, Rep. William A. Petit Jr. of Plainville, who voted for Srinivasan in the first round, said the delegates from his community debated whether to help more candidates get to 15 percent — or focus on getting one to 50 percent. The Boughton campaign seemed to pick up momentum earlier Saturday, something that many political operatives say is more myth than reality in a primary, but palpably real in the confines of a convention hall, where the only topic is politics, and the only currency is information. Caleb Espinosa of Montville, one of the youngest delegates at age 18, said he was supporting Boughton, a long-time mayor of a city with low unemployment and a strong economy, on the issue of competence. Republican gubernatorial candidate Peter Lumaj. Electability is in the eye of the beholder, and it is a quality that some delegates weighed against principles important to them. For the 16 delegates from Southington who were intensely courted throughout the day, that meant fiscal conservatism, support for the second amendment and electability. The delegation from Southington, Markley’s hometown, teetered between Boughton, largely seen as a centrist, and Lumaj, who calls himself the candidate most conservative, most loyal to Trump. Tom Daly, a strategist for Herbst, the former first selectman of Trumbull, watched Boughton talking to them. “Is that Southington?” he asked. A Boughton aide, John Kleinhans, nodded. Daly disappeared, apparently to find his candidate. Lumaj, accompanied by his wife, was waiting. 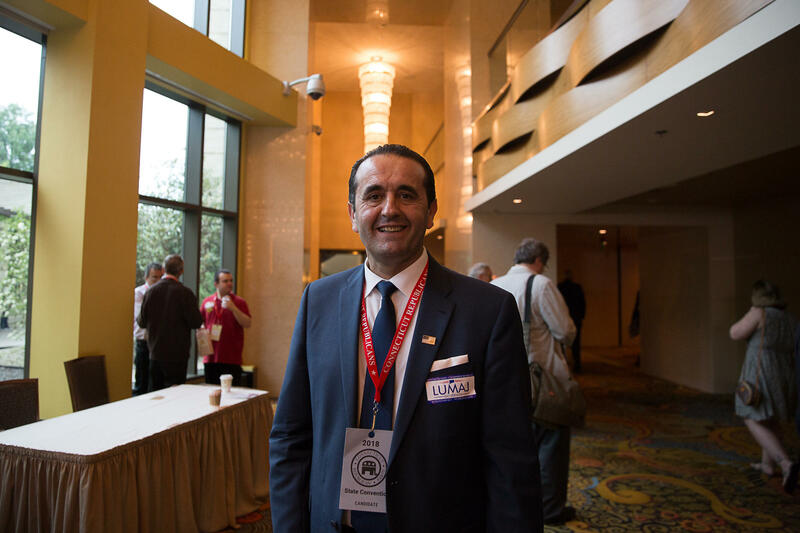 The delegates asked him about pensions, about his immigration law practice and about his ability to reach past conservatives and Trump loyalists to unaffiliated and disaffected Democrats. Stephen Kalkowski, the Republican chairman in Southington, said he hoped the delegation would vote as a bloc. Stephanie Urillo, a dentist and former council member, was disinclined to go along. Her first choice was Obsitnik. Urillo said she sees him as a fresh face, a candidate with an ability to communicate a vision for how Connecticut can revive its economy. She sees patients, not all of whom are retirees, leaving for Florida and other southern states. “It’s not because of snow. It’s because of the cost to stay here,” she said. Herbst appeared, waiting for an invitation to address them, an invitation that never came. Herbst moved on to other delegates. But Southington delivered for Herbst on the second ballot, delivering all its votes to Herbst. Kalkowski said his delegates had concluded that Boughton was pushing New Britain Mayor Erin Stewart for lieutenant governor, snubbing their hometown favorite, Markley. That was enough to flip all 16 votes to the candidate they wouldn’t consider hours earlier. This story was published under a partnership with The Connecticut Mirror. 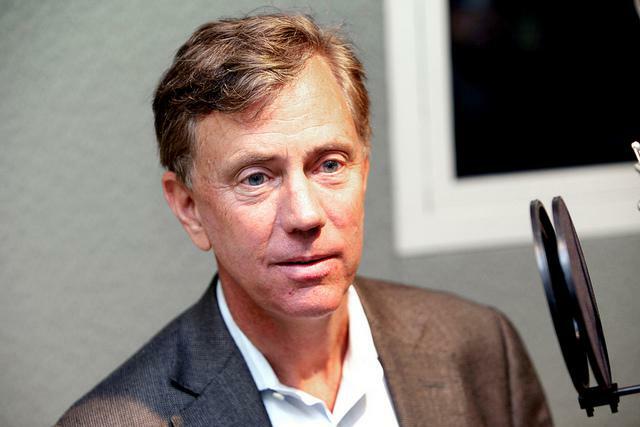 With Jonathan Harris dropping out of the governor's race and throwing his support behind Ned Lamont, the stars seem to be aligning for the Greenwich cable television entrepreneur to capture the Democratic Party's endorsement at its May 18-19 state convention.